A new lab-based study has shown that when airway cells damaged by cigarette smoke are exposed instead to glo vapour, the biological effects caused by smoke exposure are reversed. glo is British American Tobacco's tobacco heating product (THP). It is designed to heat rather than burn tobacco, and the vapour produced has around 90-95% less of certain toxicants compared to cigarette smoke**. Previous studies have shown that the biological impact of glo vapour on cells in the lab is much reduced compared to cigarette smoke. But the reversibility of the damage following switching to a product like glo has not been extensively studied. 'Products like glo are very new, so understanding the biological impact of vapour from glo and how that compares to cigarette smoke is a core component of our scientific research,' said Dr James Murphy, Head of Reduced Risk Substantiation at British American Tobacco. In this study, human airway cells were exposed repeatedly to either cigarette smoke or vapour over a period of four weeks. For the first two weeks, the lung tissue was exposed to cigarette smoke for 15 minutes at a time, three times a week. The exposed tissue was then split into three groups: one group continued to be repeatedly exposed only to cigarette smoke for a further 2 weeks; a second group was exposed repeatedly to glo vapour and a third group was exposed only to air. The results obtained were then compared to results obtained by exposing airway tissue only to air for the full 4-week period. The results show that switching completely to glo after 2 weeks of repeated exposure to cigarette smoke reversed some of the biological impacts of the smoke. 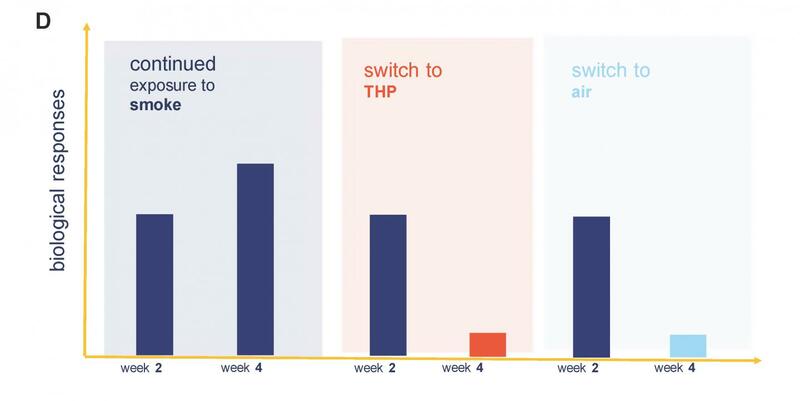 Significant reductions were observed in the amount of certain molecules produced in response to inflammation, for example, in comparison to that seen in lung tissue exposed to cigarette smoke for the full 4-week period. These results add to evidence suggesting that glo may have the potential to be reduced risk compared to smoking conventional cigarettes. 'We have developed a suite of tests to assess our next generation products, because we know it is by taking the results of all these tests together that gives us a real feel for the bigger picture and the potential for glo to be reduced risk compared to a conventional cigarette,' says Murphy. The results are presented today at the annual conference of the Society of Toxicology in San Antonio, Texas, US. British American Tobacco have invested more than US$2.5 billion over the last six years in developing and commercialising a world-leading portfolio of products in the Next Generation Products (NGPs) category. British American Tobacco currently has NGPs in 17 markets with plans to be double the amount of markets we're in by the end of 2018. BAT has a bold ambition to realise revenue of more than £5bn from NGPs by 2022.